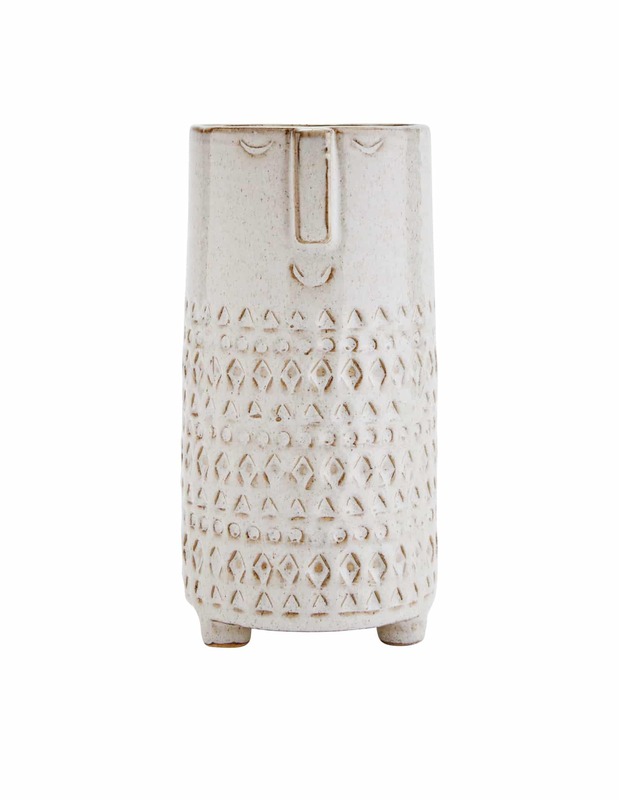 Madam Stoltz vase with face imprint is handmade and finished in a cream glaze. 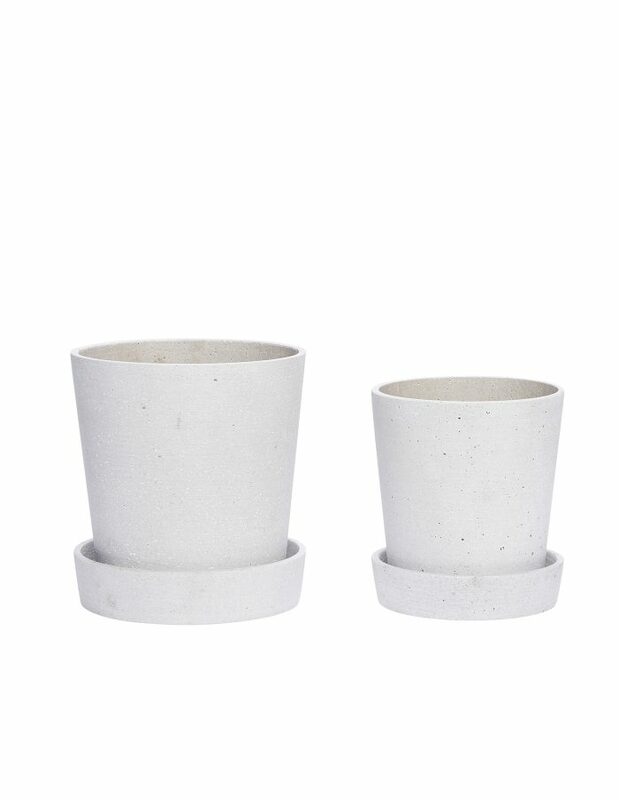 With a modernist look, the stoneware vase featuring an abstract face is a statement piece once potted with a houseplant of your choice or a simple arrangement of flowers. A quirky way to add zen to any room. Madam Stoltz dusty rose hourglass can be used to time 5 minutes or as an ornament for the home. 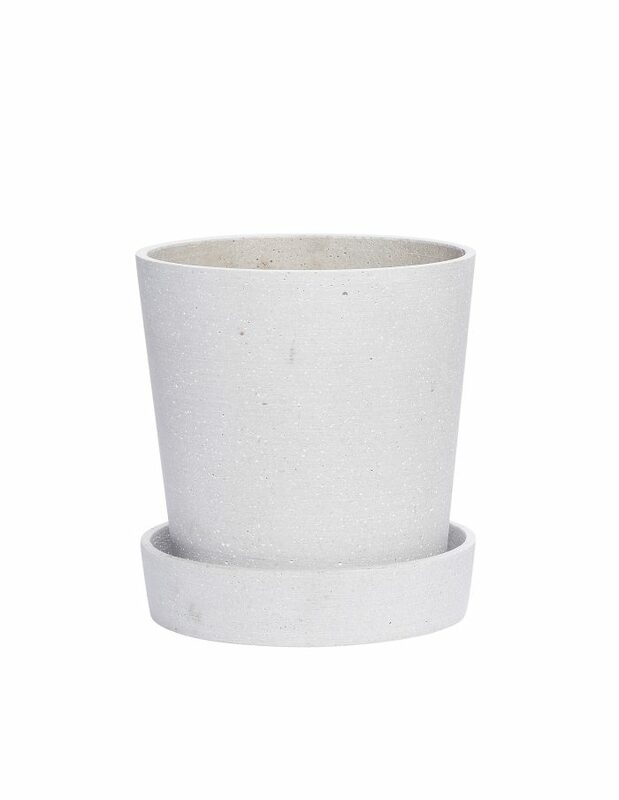 The small design allows you to use as a home accessory for a desk, shelf, or console. Dimensions: 3.7 x 10 cm / Two tone glass Inspired by Indian craftsmanship and the rough nature of the Island Bornholm, Danish interior brand Madam Stoltz is not afraid of clashing cultures and materials. Madam Stoltz effortlessly brings both worlds together.